Click here to view the lab test report. Why pay extra for a vent cap that has an internal spark arrestor? Click here to find out why. Quantity discount for 500 or more. To buy, enter a quantity in the drop-down box below and click the “Add to cart” button. Then click the “Checkout” button that appears at the top left. 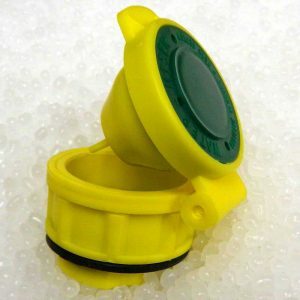 This battery vent cap is designed differently and costs slightly more than our standard vent cap, but it provides peace of mind. All lead-acid batteries produce a flammable gas mixture composed of hydrogen and oxygen. If a nearby spark ignites the gas, the internal spark arrestor stops the flame from entering the battery where it could ignite the internal gas. Read more about this battery vent cap by clicking here. 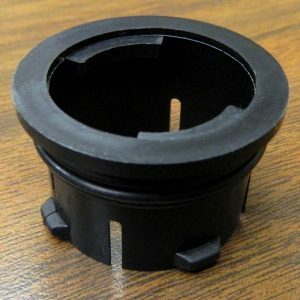 This battery cap will fit on all batteries that have a standard 1/4-turn bayonet vent opening. 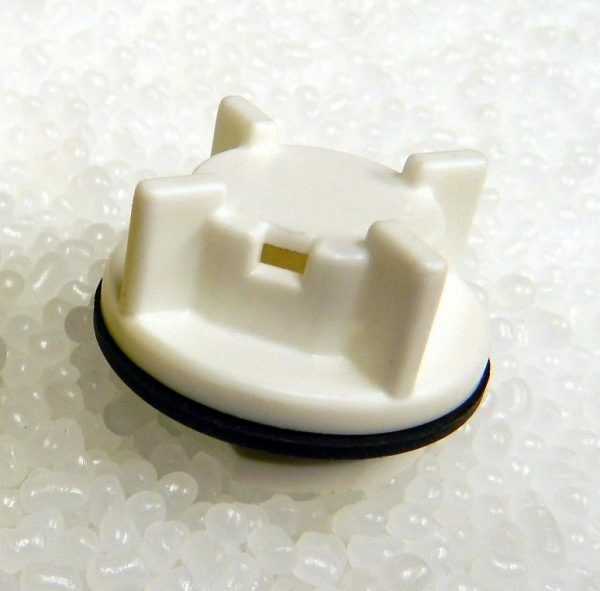 Adapters are available that allow you to retrofit this vent cap to most other batteries. 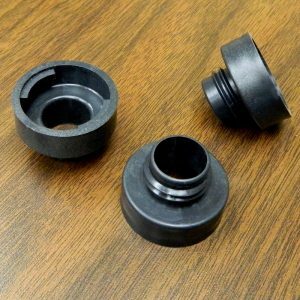 If your battery needs a screw-in or push-in type vent cap, choose from the threaded and push-in type adapters that are listed below. #4D-8D-SIA Adapter (7/8 inch diameter threads) Fits 4D and 8D batteries. #M27x3-SIA Adapter (M27x3 metric threads) Fits Enersys Varta battery. 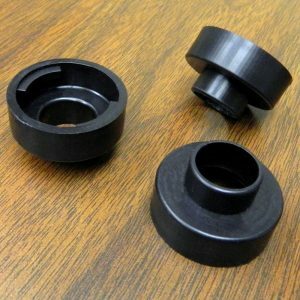 #4D-8D-PIA Adapter (Presses into 3/4 inch diameter hole.) Fits 4D and 8D batteries, or any battery with a 3/4″ diameter vent hole. #1050VCA Adapter (Pushes into 1-3/8 inch diameter hole.) Fits European style DIN battery. Copyright © 2019 Doyle Shamrock Industries. All rights reserved.